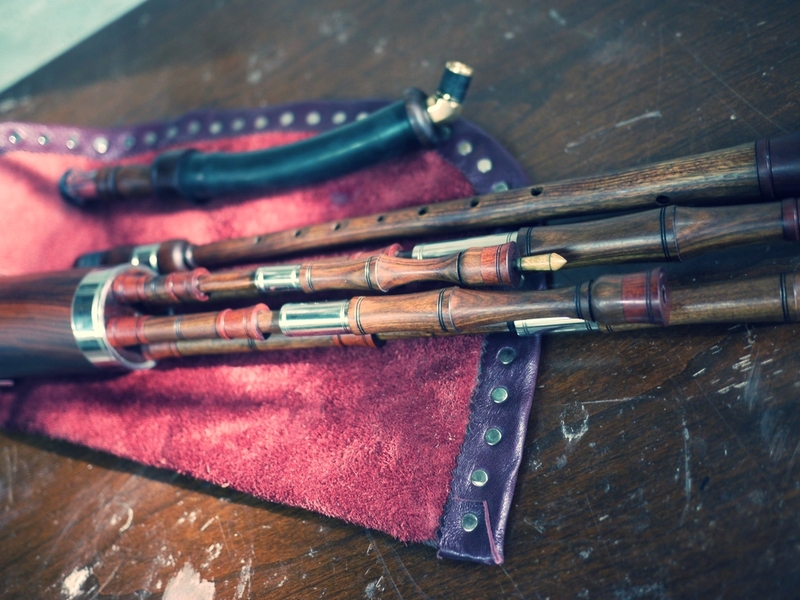 Also sometimes called Lowland or Reel Pipes, Border Pipes have been increasing in popularity with Scottish pipers looking to play with other musicians. Our sets are the most playable Border pipes available today. 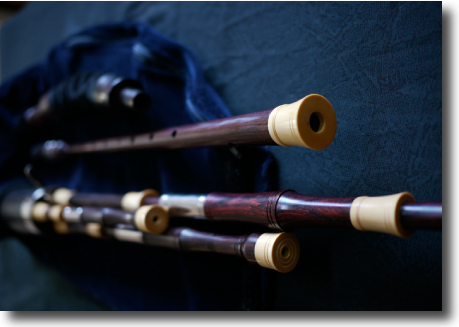 They play with an easy pressure, and are around the volume of a concert uilleann pipe; not too loud to play with fiddles. 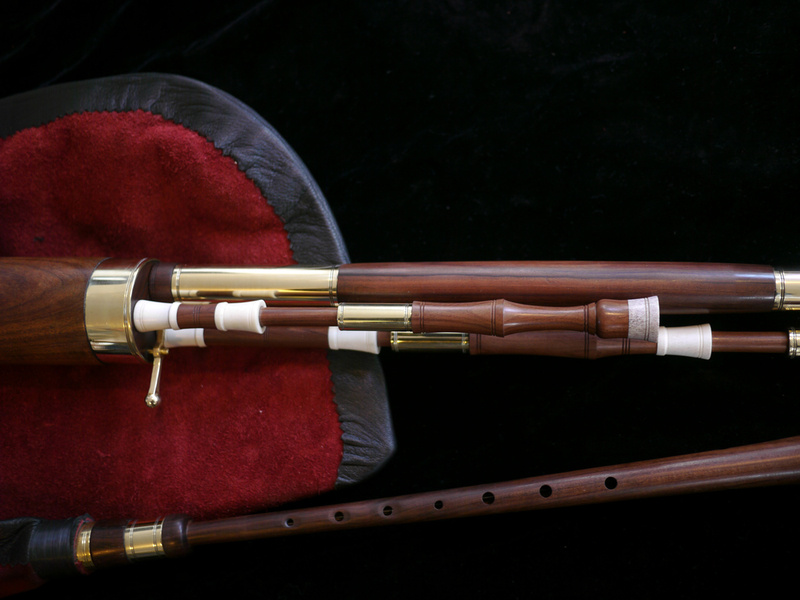 Along with being tuned in A-440, the Border chanter’s ability to “cross-finger” notes including, C natural, F natural, and G sharp make it ideal for folk band work. Drone configuration is typically Alto/Tenor/Bass, but can be anything else you might require like Tenor/Tenor/Bass or Tenor/Baritone/Bass. We also offer a four drone set of Border pipes, and now a five drone set of Border pipes. Drones can be set up with cane or synthetic reeds. 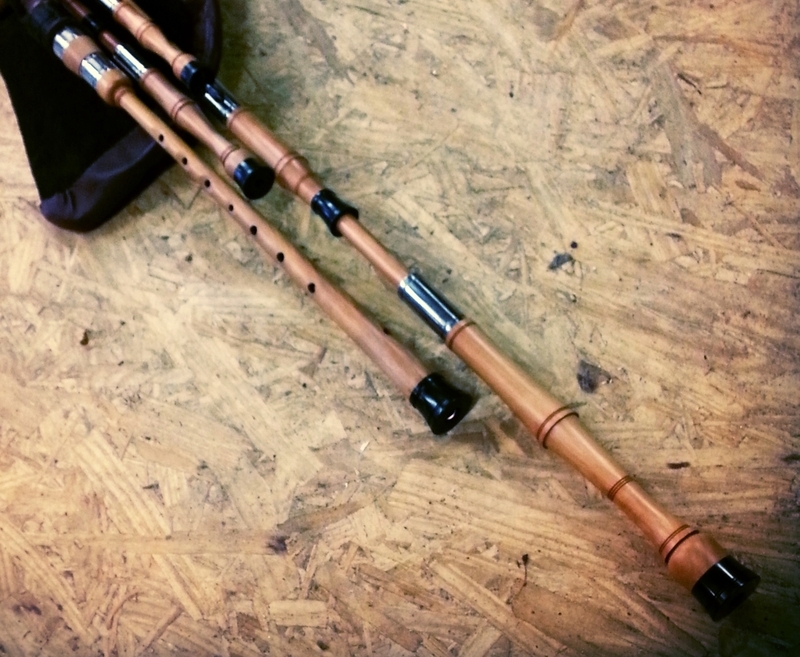 The chanter top uses a split stock with reed protection standard on all sets. This makes storing the set away easier, since the chanter can be removed from the bag without damaging the reed. 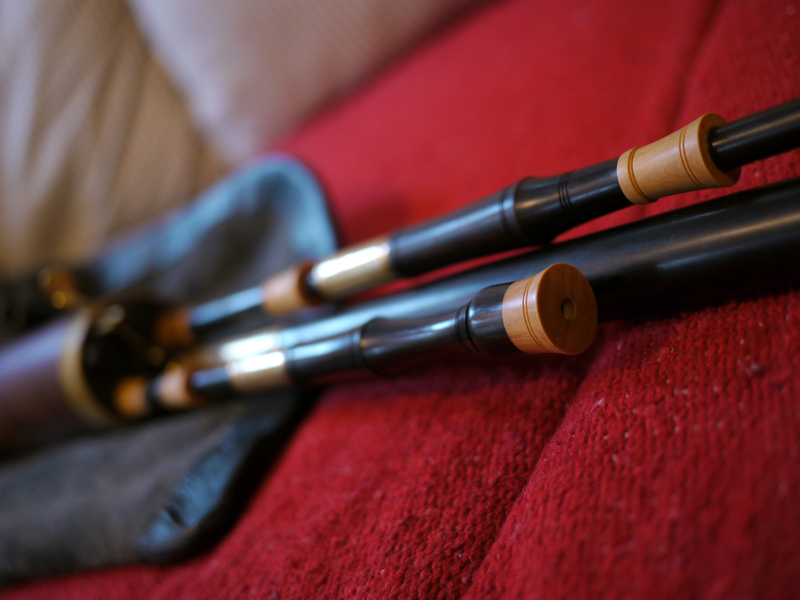 It also makes it possible to plug the Border chanter in with our Smallpipes, which is handy if traveling with just one set. And the reverse, playing a Smallpipe chanter with Border Drones is something popular with those who really like to hear their drones -- self styled "drone heads".